The ubiquity of Tommy Hilfiger's fashions, particularly among urban youth, is a testament to the marketing and image branding that has characterized contemporary American fashion. Hilfiger was born in 1952, one of nine children raised by a jeweler and nurse in upstate New York; he described his childhood in his 1997 stylebook, All American, as living in "Leave it to Beaver-land" (p. 2). In his senior year of high school Hilfiger and two friends opened People's Place, a clothing shop in their hometown of Elmira that sold candles and bell-bottom jeans; Hilfiger enjoyed decorating the windows and designing in-store merchandise displays. People's Place thrived for nearly eight years, with additional stores opening in other towns, until it went bankrupt in the late 1970s. In 1980 Hilfiger moved to New York City to pursue a career in fashion. He had a brief stint designing for Jordache jeans before joining forces with a woman's clothing manufacturer and starting 20th Century Survival, a junior-sportswear company that offered a variety of clothes in western and nautical styles, as well as Victoriana dresses, khakis, and camouflage gear. In the mid-1980s Hilfiger contemplated job offers from Perry Ellis and Calvin Klein but instead accepted an offer from Mohan Murjani of Murjani International (the clothing manufacturer behind the fame of Gloria Vanderbilt jeans) to fund his own men's wear company. Murjani was looking to create a "name" designer like Calvin Klein and Ralph Lauren, and in 1985 Tommy Hilfiger was launched. The building of Tommy Hilfiger was as much about marketing as it was about the clothes. Hilfiger embodied this approach, referring to himself in a 1986 New York Times article as a "natural, all-American-looking, promotable type of person with the right charisma…. I'm a marketing vehicle" (Belkin p. D1). Shortly after the debut of his first collection of preppy classics like chinos, oxford shirts, and polo knit tops and the opening of his Manhattan flagship store on Columbus Avenue, Murjani boldly put Hilfiger's name in lights. A billboard in Times Square read, "The 4 Great American Designers for Men Are: R-L-, P-E-, C-K-, and T-H-," referring to Ralph Lauren, Perry Ellis, Calvin Klein, and Hilfiger. Hilfiger's name did not appear in the ad, just his red, white, and blue flag logo and the address of his newly opened store. A 1987 advertising campaign for Tommy Hilfiger polo knit shirts pictured the Lacoste alligator, the Lauren polo player, and the Hilfiger flag logo type. From the outset Hilfiger has been compared to Ralph Lauren. He has been criticized for copying Lauren's preppy style but gearing his signature red, white, and blue styles toward a younger market at more popular prices. Hilfiger, like Lauren, has appeared in advertisements for his clothing line; both men have used the American flag as an important marketing tool. Hilfiger has also replicated Lauren's business model, even employing former Lauren executives to help build Tommy Hilfiger, which Hilfiger, with backing from Silas Chou and Laurence Stoll of Novel Enterprises, bought from Murjani in 1989; Chou and Stoll then incorporated Tommy Hilfiger in Hong Kong. Following Lauren's lead in "lifestyle merchandising," Hilfiger expanded his franchise by opening a number of stores whose interiors reflect the all-Americanness of his clothing; by signing licensing agreements around the world; and by offering a range of lines, such as underclothing, accessories, fragrances, home décor, designer jeans, women's wear, children's wear, and a higher-end men's wear collection. Hilfiger spent $15 million in advertising to launch his men's fragrance "tommy" in 1995, which, at the time, was the most money spent on a campaign for men's fragrance. Unlike Lauren and other big-name American designers, Hilfiger tapped into hip-hop street styles, making him one of the hippest and wealthiest designers of the 1990s. Hilfiger had always been interested in music, and he saw the potential for musicians to dictate fashion trends. He sponsored a Pete Townsend tour; designed stage costumes for Mick Jagger and Sheryl Crow, among others; and wrote the 1999 book Rock Style: How Fashion Moves to Music to accompany an exhibition cosponsored by the Costume Institute of the Metropolitan Museum of Art and the Rock and Roll Hall of Fame and Museum. However, Hilfiger's biggest coup in the music world occurred in 1994 when the rapper Snoop Doggy Dogg appeared on Saturday Night Live wearing a rugby shirt with the word "Hilfiger" running down the sleeve, which Hilfiger's brother Andrew had given the musician; the shirt sold out the next day at many New York department stores. Andrew, who worked in the music industry, acted as a goodwill ambassador for Tommy, handing out logo-emblazoned shirts and bags to musicians when he arrived on sets for concerts and music videos. Hilfiger's logo-laden street styles of the 1990s came about after he saw that counterfeiters were knocking off logos, enlarging them, and sporting them on oversized shirts, sweatshirts, and outerwear; they looked like walking advertisements. He also realized the huge possibilities in the status-symbol-conscious hip-hop movement that revolutionized the music scene in the 1990s. Hilfiger made regular in-store appearances, learning what young consumers wanted. Multiculturalism played a big part in his advertising campaigns; he employed stylists from hiphop record labels, such as Rashida Jones, to appear in his ads and style his runway shows, which often featured such rappers as Treach, who mentioned Hilfiger in their songs. In 1995 his once skeptical peers recognized Hilfiger with the Menswear Designer of the Year Award from the Council of Fashion Designers of America. Hilfiger made a name for himself by prominently putting his name and logo on his clothes and marketing them to urban youth in a way that other American designers had not done. He harnessed a diverse following of consumers with his oversized, street-style sportswear and his relaxed, all-American style of jeans, khakis, and polos that fit into the more casual approach to dressing that began to be taken at the end of the twentieth century. Hilfiger invested a great deal in advertising to keep his name and logo prominent; his packaging of the product has surpassed any originality in the clothes themselves. He has raised the bar for the fashion merchandising and image branding that have come to define American fashion. See also Fashion Advertising; Fashion Marketing and Merchandising; Hip-Hop Fashion; Logos; Music and Fashion. Agins, Teri. 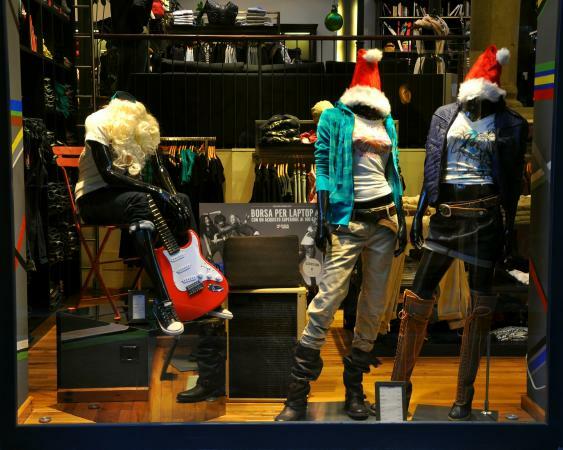 The End of Fashion: The Mass Marketing of the Clothing Business. New York: William Morrow, 1999. Belkin, Lisa. "Big Campaign for Hilfiger." New York Times, 18 March 1986. Collins, Glen. "Campaign for Fragrance Plans to Assure That Men See It, Hear It, Sniff It." New York Times, 18 May 1995. Tommy Hilfiger. Rock Style: How Fashion Moves to Music. New York: Universe Publishing, 1999. Tommy Hilfiger, with David A. Keeps. All-American: A Style Book. New York: Universe Publishing, 1997. McDowell, Colin. Fashion Today. London: Phaidon Press Ltd., 2000. White, Constance. "The Hip-Hop Challenge: Longevity." New York Times, 3 September 1996. --. 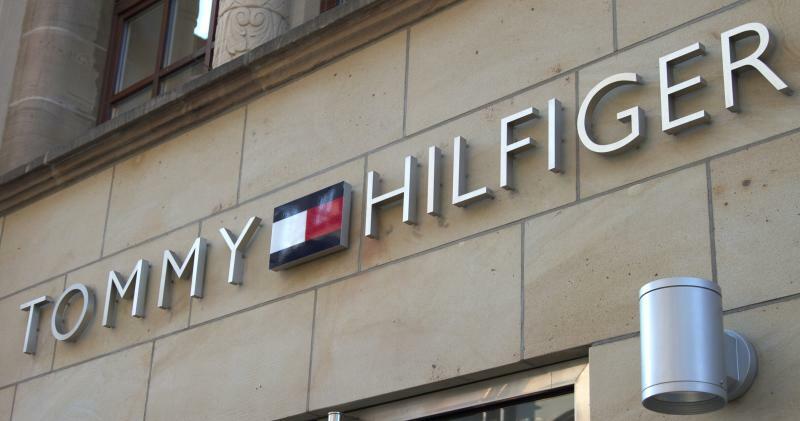 "If It Sings, Wear It: The Hilfiger Ploy." New York Times, 26 October 1997.